Did you notice I've been away for awhile? Well I haven't actually been away. My blog has been away from me.... ie: I was somehow blocked from my Blogger account. You don't believe me. I can tell. Well, mostly baking. That's what I do best. I just haven't been able to share the baking love. My lovin' from the oven... if you will. You don't have to worry about missing out on baking love anymore, because I'm back. I didn't want to kill you with sugar and butter and chocolate right off the bat (although that would be a nice way to die, wouldn't it?) so I made you some gluten free, dairy free, egg free cookies. 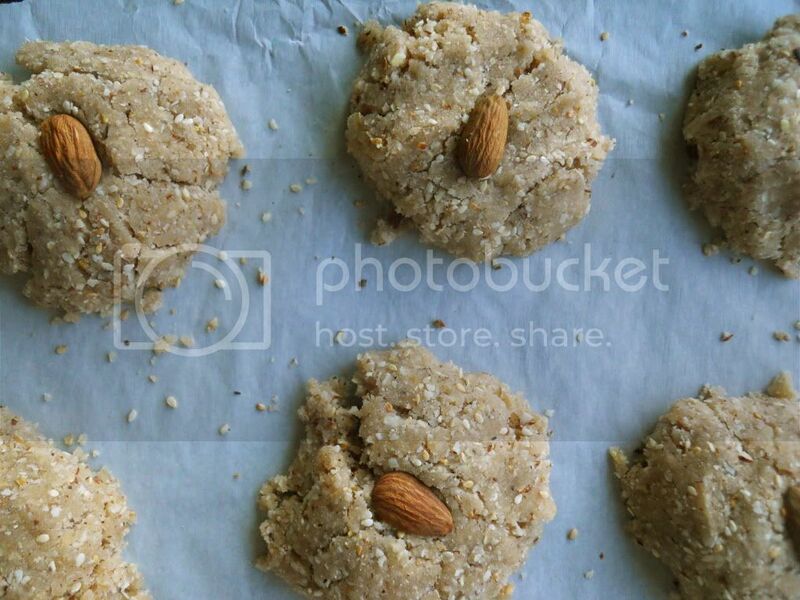 Packed with toasty almonds and sesame seeds these are tasty and appropriate for people with all kinds of allergies. Turn off your computer and walk away if you have a nut allergy. 1. Preheat the oven to 350°F and line 2 baking sheets with parchment paper. 2. 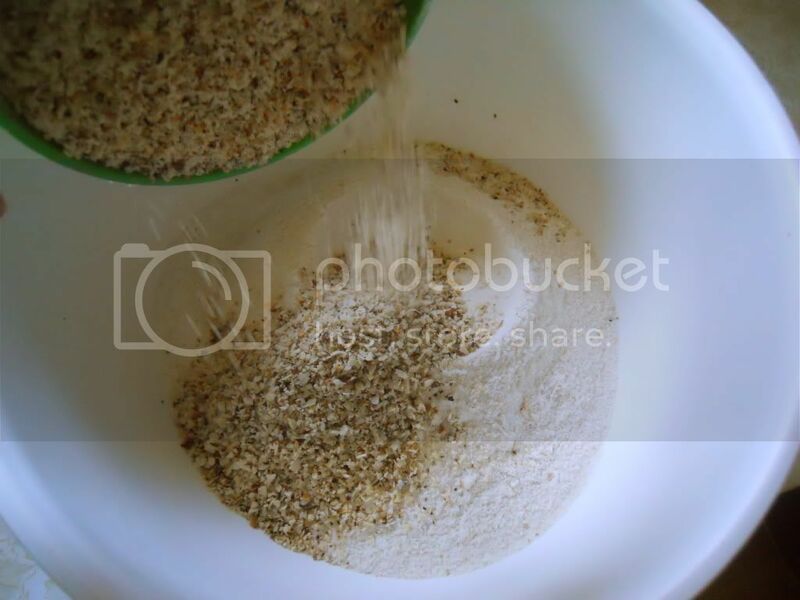 Stir the rice flour, ground almonds, sesame seeds, cinnamon and salt in a large bowl. 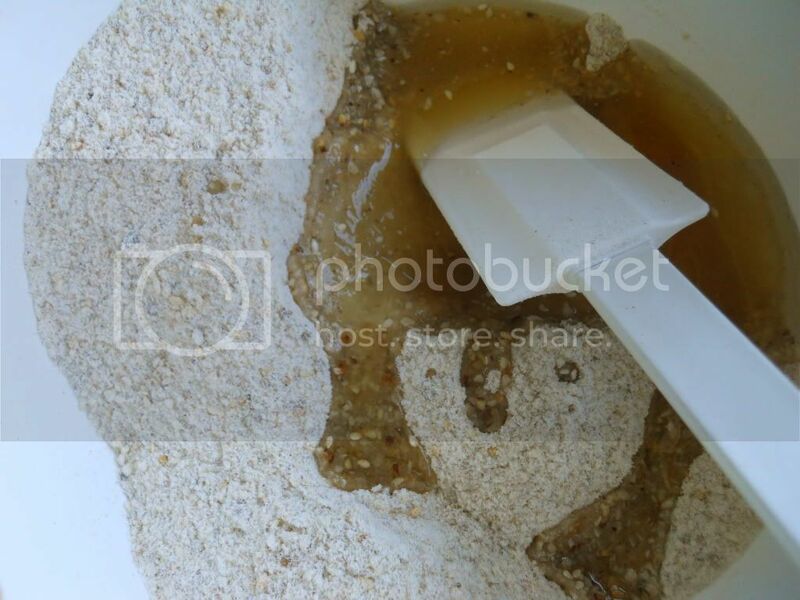 In a seperate bow, whisk the honey and oil and add to the rice flour mixture. 3. Scoop tablespoonfuls of dough and use your hands to shape each into a ball, placing 2 inches apart on the prepared baking sheets. Press each cookie to flatten and press a whole almond into the center of each. 4. Bake 1 sheet at a time for about 15 minutes or until cookies start to brown a little on the bottom. I ate a cookie that looked just like this yesterday! It was from whole foods and was also vegan, but I think it had maple syrup in it. Wait... do we exploit maple trees by eating their syrup? I'm not sure if these are actually vegan. I'm still confused about the whole honey thing.